The best place to spend your Montana vacation! Right on a pristine river! Kirk Gentry - Flathead Valley resident & business owner since 1990. Former Owner Spotted Bear Ranch, a Bob Marshall Wilderness Orvis Endorsed Fishing Lodge. Located right on the Flathead River, I took advantage of the gorgeous views & seclusion. 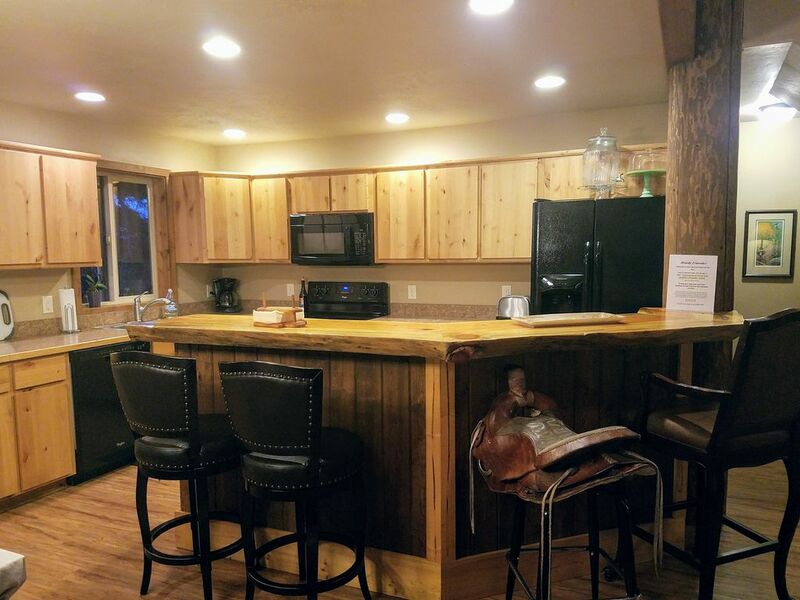 The cabin is anywhere from 1300 sq ft with custom log features and all the amenities of a fully furnished vacation home. It's proximity to Glacier National Park and central location just outside of Columbia Falls makes it ideal for accessing all the outdoor activities available in Northwest Montana's Flathead Valley. Right on the banks of one of Montana's pristine rivers with views of the Rocky Mountains all around you! Covered deck over looks your water front! Our guests have told us they really enjoy Cabin on the River because... 1) it's proximity to Glacier National Park, Columbia Falls, Kalispell, Whitefish & Bigfork makes it very convenient. 2) it's located right on the bank of the Flathead River, offering solitude & scenery with views of Flathead River and Glacier National Park. And, 3) it's completely furnished making it a comfortable and economical lodging choice. Bring your own equipment and float right to the property!